Gov.-elect J.B. Pritzker with, from left, state Rep. Jehan Gordon-Booth, Lt. Gov.-elect Juliana Stratton, and Cook County State's Attorney Kim Foxx. Gordon-Booth and Foxx will co-chair the Restorative Justice and Safe Communities Committee. Another local leader has been named to Democratic Gov.-elect J.B. Pritzker’s transition team. Retired judge Elizabeth Robb of Normal was appointed to Pritzker’s Restorative Justice and Safe Communities Committee, focused on criminal justice reform and public safety, Pritzker’s team announced Friday. Robb retired in 2014 as chief judge of the Eleventh Judicial Circuit, which includes McLean County. During her 10-year tenure as chief judge, McLean County saw the creation of the Criminal Justice Coordinating Council and two specialty courts (drug and recovery/mental illness), among other initiatives. She also implemented a pilot program to bring cameras into local courtrooms. “Across our country—including here in Illinois—our criminal justice system is broken, and throughout the campaign, I listened to Illinoisans impacted by this broken system and witnessed how it’s harmed communities,” Pritzker said in a statement. “If we’re committed to economic justice, let’s be committed to criminal justice reform and public safety. These problems are not separate from each other. They’re intertwined with each other. “It's time to bring real prosperity to every community, tear down the barriers that block people from opportunity, and move away from a system of imprisonment and build a true system of justice,” he said. Robb, an Illinois Wesleyan University grad, is at least the third local official appointed to a Pritzker transition committee. Illinois State University President Larry Dietz is on the Educational Success Committee. Former candidate for McLean County clerk Nikita Richards is on the Serving Illinois’ Heroes Committee, focused on veterans issues. 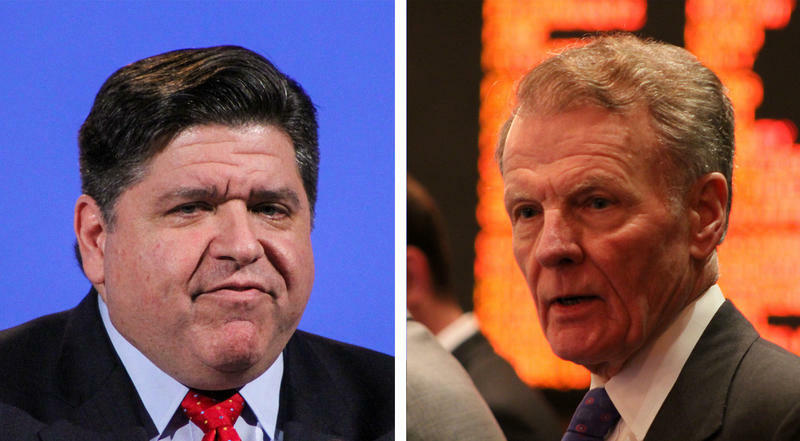 Illinois House Speaker Michael Madigan says he expects to work “very well” with Gov.-elect J.B. Pritzker and will support two of Pritzker’s major proposals. Gov. Bruce Rauner and Gov.-elect J.B. Pritzker will make a joint appearance at the state's Bicentennial celebration Dec. 3. Less than a week after losing her election for McLean County clerk, Nikita Richards will join Gov.-elect JB Pritzker's transition team.